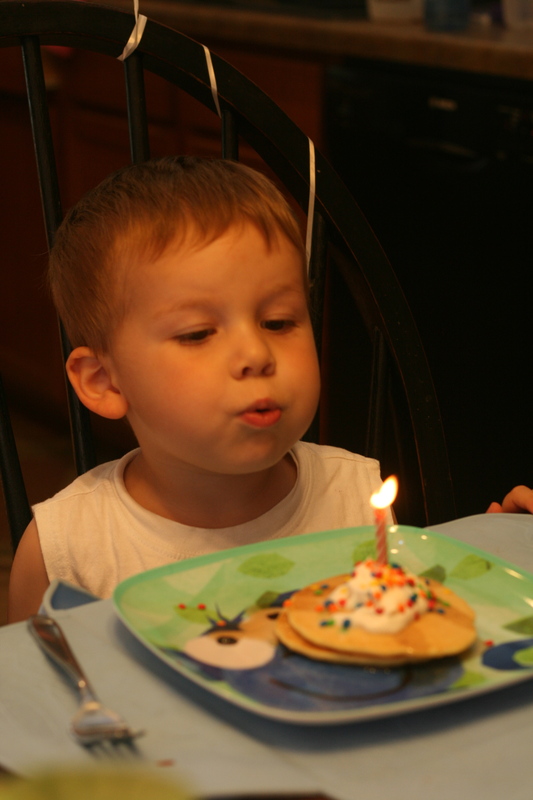 Today my middle son, Evan, turned three. It’s hard for me to believe that he is three! We have a tradition of making each child “rainbow pancakes” for breakfast on their birthday. 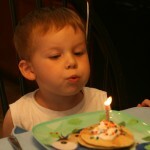 We put a candle in the pancakes and sing happy birthday to them. The boys really look forward to this tradition, in fact as soon as Evan woke up this morning he was asking for his pancakes. So here he is blowing out his birthday candle. This is his birthday card. 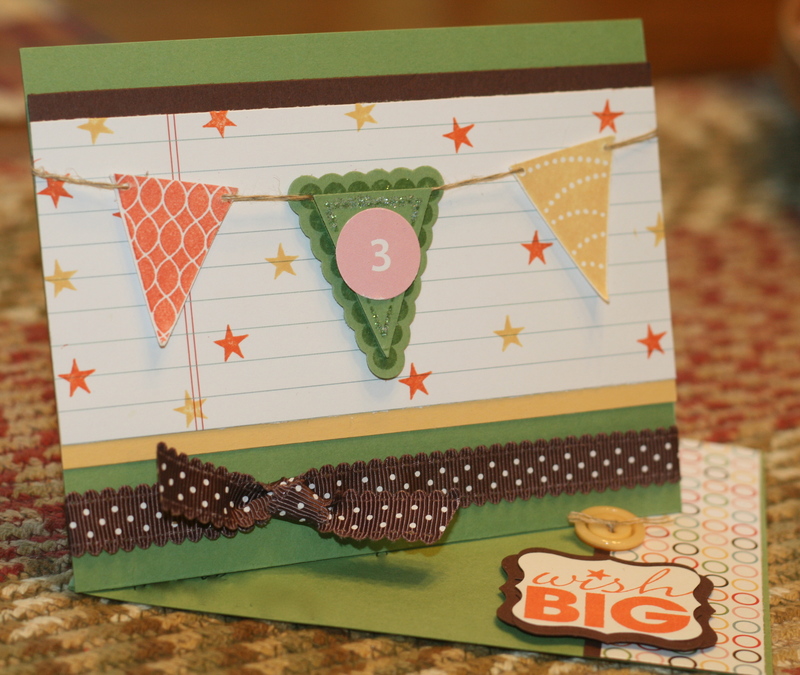 I used the fabulous new Pennant Parade stamp set and the coordinating punch from the 2011-2012 Catalog. I am just loving this stamp set! I decided to try making a twisted easel card. I am really happy with how it turned out and it wasn’t too complicated to make at all! Isn’t it just adorable?! The cute button on the inside holds the card front in place and props it up. 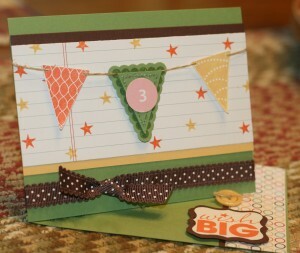 What a fun card for a special three-year-old! Happy Birthday Evan! !